"There are three primary goals applicants should strive to meet," Scullon said. "The projects should produce tangible deer habitat improvements, build long-term partnerships between the DNR and outside organizations and showcase the benefits to the public." Project applications must be postmarked by Friday, March 1, and successful applicants will be notified by Monday, March 18. The complete grant application package is available on the DNR website at michigan.gov/dnr-grants. 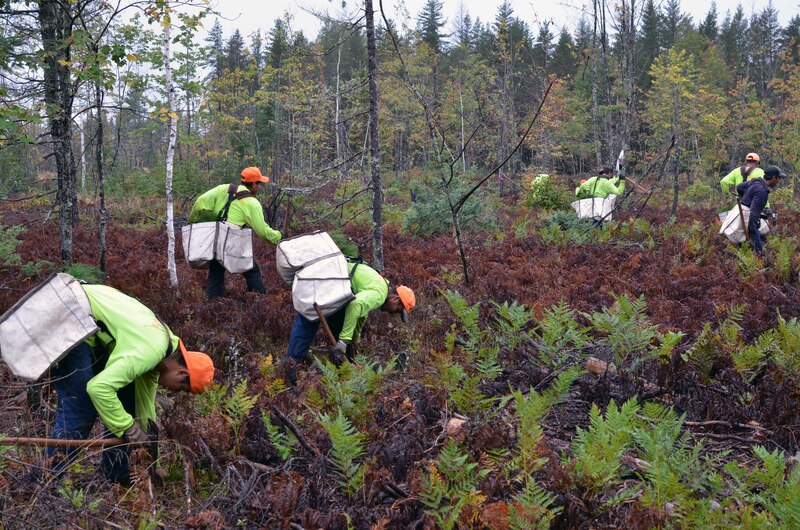 Project: A crew of migrant workers plants seedlings to improve deer habitat on a project in Marquette County.